A Sailing Regatta tagged image from photographer – ISAF Media Library as published on Flickr. Stephen Morrison and Ben Rhodes (GBR) sailing to win the race today 2 August 2012 at the Olympic Sailing Venue in Weymouth and Portland competing in the 2012 Olympic Sailing Regatta. 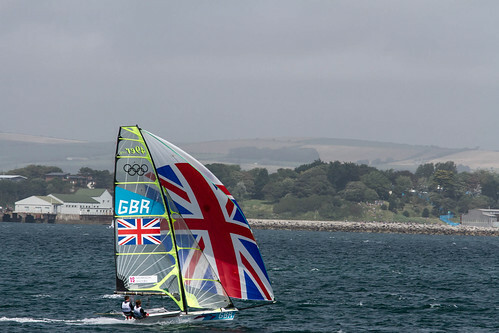 The London 2012 Olympic Sailing Competition runs from 29 July to 12 August and brings together 380 of the world’s best sailors to race on Weymouth Bay. Sailing made its Olympic debut in 1900 and has appeared at every Olympic Games since 1908. In 2012 athletes from 63 nations are competing across ten Olympic sailing events. Who are you cheering for in the 2018 Rolex Sydney Hobart Yacht Race?